Quantum Inventions was announced the winner of the Young Innovator Award at the Land Transport Excellence Awards (LTEA) 2010 ceremony held at the Ritz Carolton on March 31st 2010. QI won the award for its project “Bringing Intelligent Transport Systems to Consumers” – the main focus of this project was the development and roll-out of QI’s Traffic Information Platform that supplies traffic data for use in multiple applications such as dynamic routing on websites such as qi.com.sg, online at Google Maps, and in mobile applications such as Google Maps for Mobile and SingTel’s TrafficLIVE service. 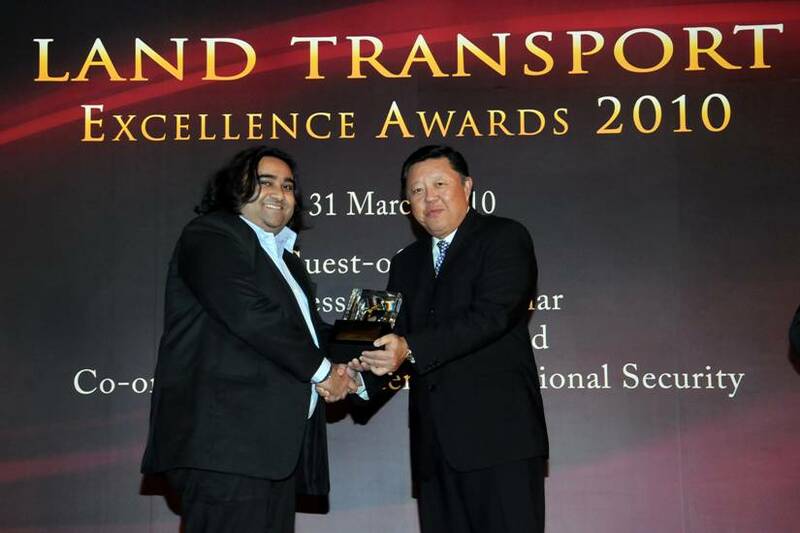 The inaugural Land Transport Excellence Awards 2008 ceremony was held on 18 March 2008 to recognise industry partners and individuals who have played an important role in Singaporeâ€™s endeavour towards developing an efficient, sustainable and people-centred land transport system. Moving into its second year, the Land Transport Excellence Awards 2010 honours the outstanding individuals and organisations whose professionalism, commitment to excellence and constant drive to continually create new benchmarks, have helped Singapore establish a land transport system which all Singaporeans can be proud of.